I’m so proud of my daughter for planning ahead, making her (stock-up) grocery shopping list, sharing it with me, and allowing me to share it with you. 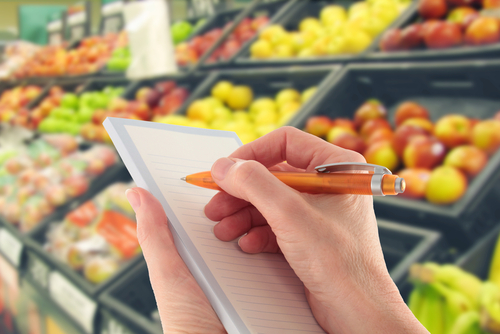 May we all be inspired to cook healthier and eat healthier! Place beets into a bowl. 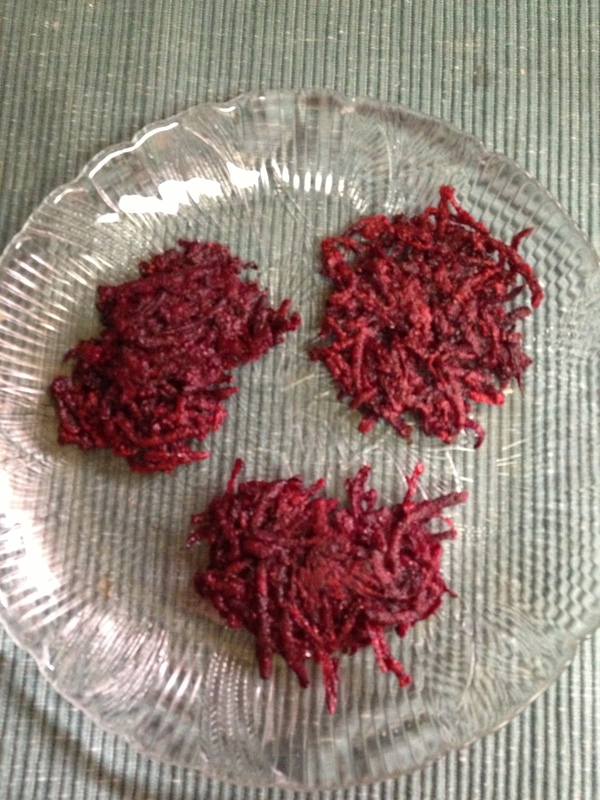 Stir flour into the beets in small amounts, until thoroughly mixed. Season with salt and pepper. 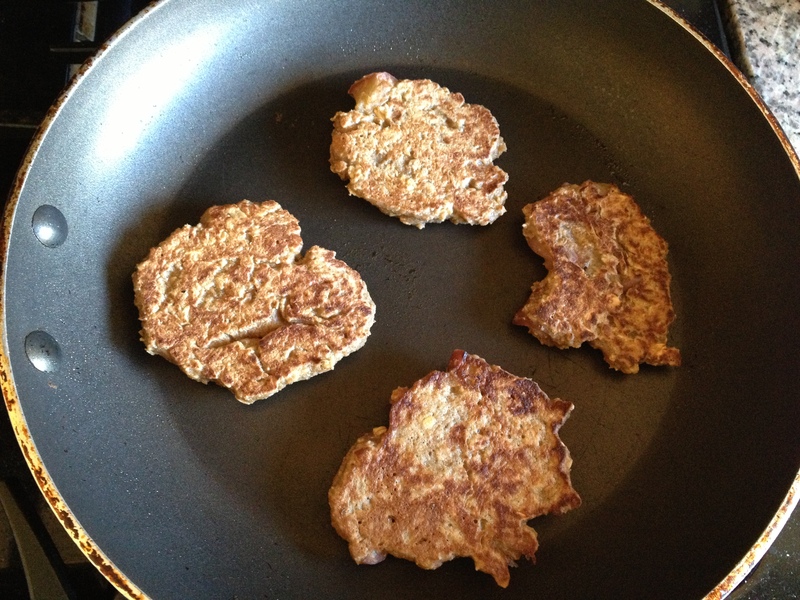 Heat the oil in a frying pan and place large spoonfuls of beets in the pan, flattening into pancakes. Cook until crispy, turning once. Serve as an appetizer, side dish or snack. 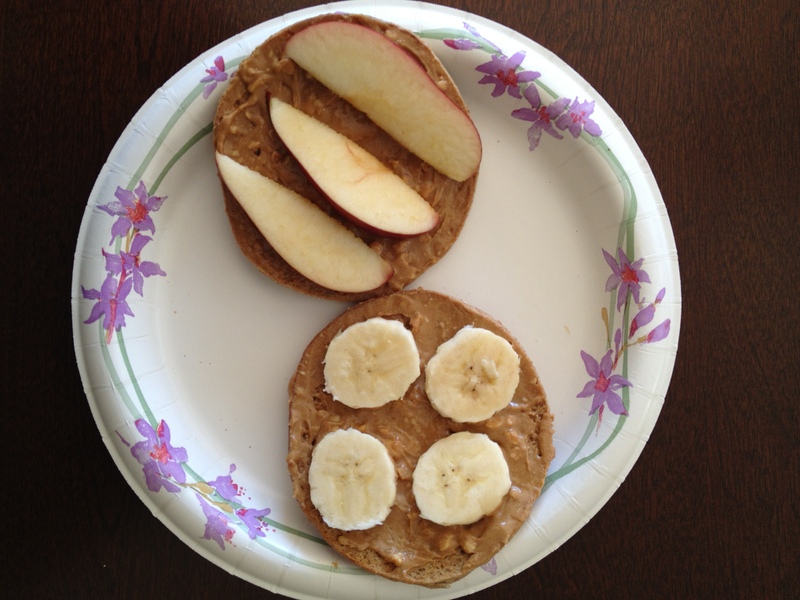 Toast bread, spread 1 tablespoon of nut-butter on each side of bread and top with apples and banana. Enjoy for breakfast, before a workout, for lunch, or as a snack. Place frozen raspberries in a medium bowl. 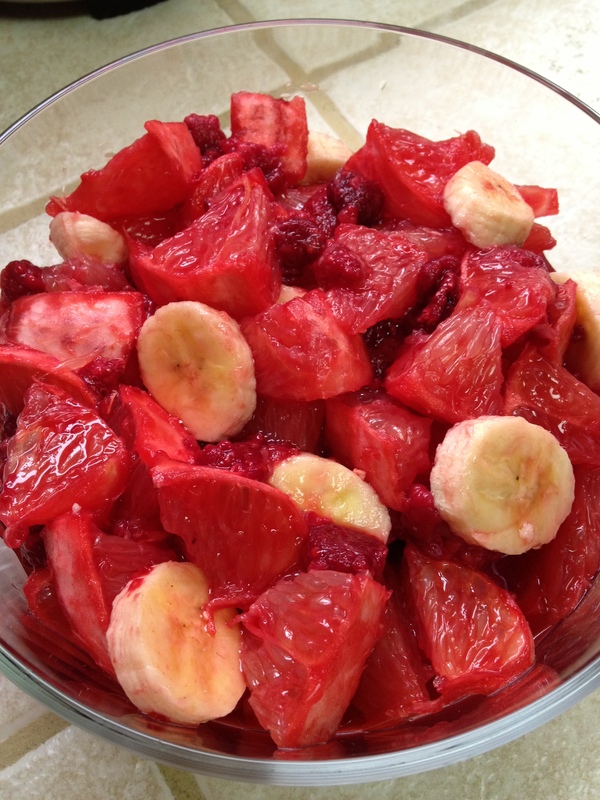 Add the grapefruit pieces and mix well. Just prior to serving add the sliced bananas. 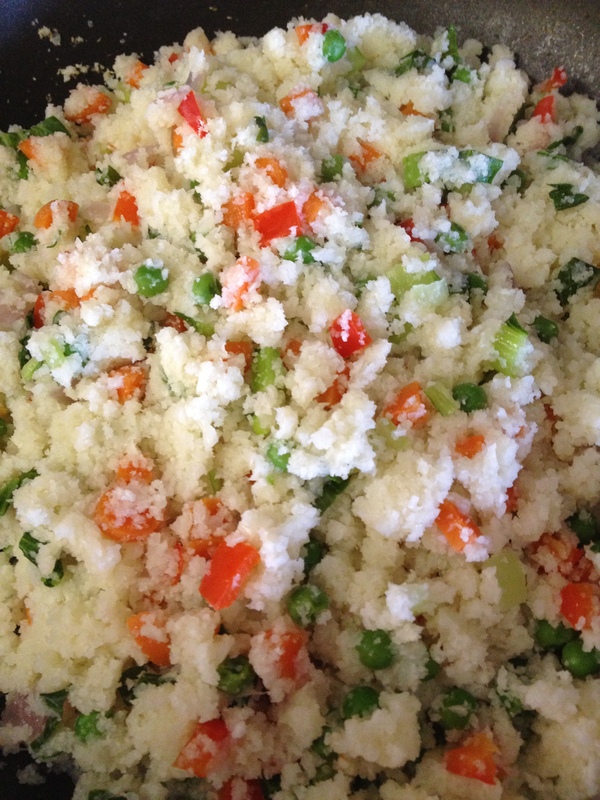 This delicious and refreshing recipe was shared my a dear friend Lisa. 1. Decide when, where and with whom you will have your sweets. 2. Enjoy what you have by eating it with mindfulness. 3. Share it with others. Get one dessert and 2 spoons. 4. Use the three-bite rule. Savor three bites or spoonfuls and then remove it. 5. Use portion control and stick to one serving. 6. Have sweets on special occasions like your birthday, anniversary or holidays. 7. Eat your sweets out rather than at home where you may be tempted to eat too much, especially if there is a large quantity or multiple servings. 8. Have a piece of fruit, melon or berries when you are craving something sweet, or for dessert. First, cook the apples in a saucepan with the brown sugar (if using), cinnamon and water, until soft but still firm. While the apples are cooking, grind 2 cups oats into flour. In a large bowl, place the oat flour, oats, oat bran, and flax-seed. Mix well and add the eggs, almond milk, vanilla, agave (if using) and cinnamon. Stir well then stir in the cooked apples. Cook pancakes on a griddle or frying pan, until browned on both sides. Syrup is optional and may not be necessary if sweeteners are used when cooking the apples and/or in the pancake mix. Greens have been touted as some of the healthiest foods available. Some people love them, while others don’t care for them, or rather, they haven’t found a way to prepare them that is enjoyable. The “greens” food group includes spinach, kale, bok choy, beet greens, chard, collard greens and mustard greens, among others. 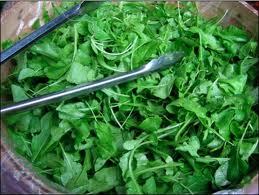 Below are three very different ways of preparing greens. Try a variety of greens and get creative. 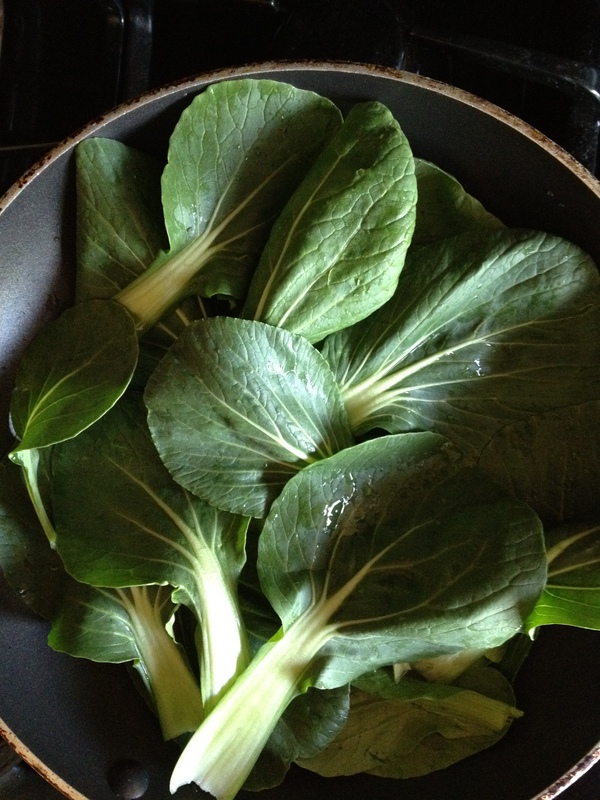 You could add sautéed greens to quinoa, raw spinach to soup or a salad, bok choy to a stir-fry or drink your greens after putting them in a juicer. May you find some recipes to enjoy the health benefits of eating or drinking greens! If using dried beans, plan on soaking the beans overnight and allow about two hours to cook the beans. 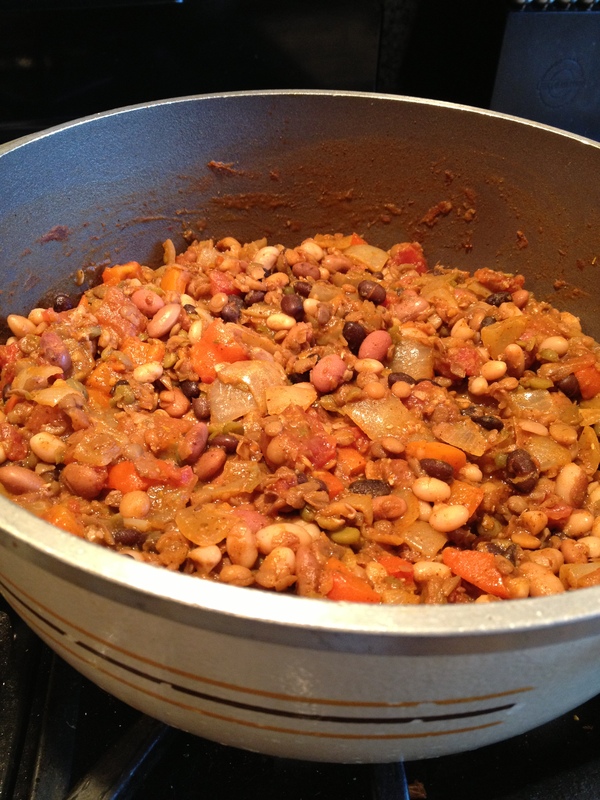 I used a blend of beans that also included lentils and peas. Heat oil in a large soup pot. Add onion, red bell pepper and garlic. Saute until the vegetables are soft. Add the chili powder, oregano, cumin and salt; stir over heat for 2 minutes. Stir in the water, cooked beans and tomatoes. Bring to a boil, reduce heat and simmer, stirring occasionally, until the chili thickens and the flavors blend, about 30 minutes.